Stunning renovated Quinta on large plot - Property for sale. Full Description: Originally dating from 1888, this large and spacious recently renovated farm house is located close to the centre of the quiet town of Sao Bras de Alportel. 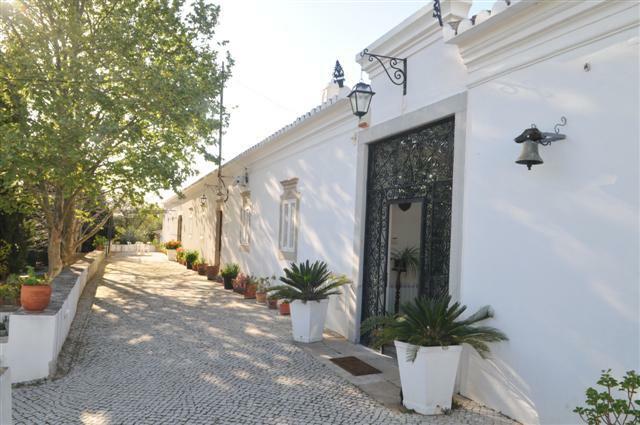 Just 20 minutes from Faro, the setting reveals the real essence of the old picturesque Algarvian architecture making this a very exquisite and unique property. Large corridors, five en-suite bedrooms, 4 with dressing rooms, guest w/c, comfortable living area with fire place, dining room, study, large fully equipped kitchen, laundry and wine cellar with stone walls. There is also an annex with self contained apartment perfect for guest privacy comprising one bedroom, shower room, kitchen with dining area and lounge. Outside the mature garden with paved walkways, swimming pool, orchard with various fruit trees and vegetable plot provide a perfectly tranquil oasis in which to relax. There is so much you could say about this wonderful Quinta but it really must be seen to appreciate the full splendour. Viewing is highly recommended.